The internationally acclaimed production, King Cetshwayo, the Musical, that premiered in Wales last year will finally be seen by South African audiences. The musical featuring a 40-member cast will be staged at The Playhouse Drama from June 20 to 23, 2018. Brought to the local audiences by the Wushwini Pan African Centre for Arts Culture and Heritage, in association with the Playhouse Company and the KwaZulu-Natal Department of Arts and Culture, King Cetshwayo, the Musical, retells the story of the epic victory of the Zulu nation against the mighty British troops in 1879 at the seminal Battle of Isandlwana. Featuring, among others, Nhlakanipho Maphumulo as Mnyamana, who also stars as Nduna in the popular local soapie, Uzalo, King Cetshwayo, the Musical is the brainchild of award-winning thespian, playwright and arts administrator Jerry Pooe as the writer and director. The prodigious Mbuso Khoza is the music director. 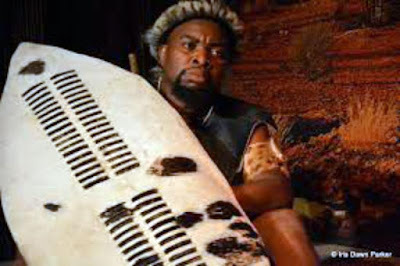 A fervent believer in arts and heritage preservation, education and youth empowerment, Pooe added that schoolchildren will get a rare chance to learn about the positives of African, particularly Zulu, history. "It’s befitting that schoolchildren will get a rare opportunity to see Africans portrayed in a positive light, as evidenced by the epic victory of King Cetshwayo’s regiments against Queen Victoria’s well-armed troops. It is important for them to know and understand the history of South Africans as narrated by South Africans themselves. For them, there will be shows at 10h00," he said. King Cetshwayo, the Musical runs in The Playhouse Drama from June 20 to 23, 2018, with shows at 19h00. Tickets R50 booked through Computicket and at the Playhouse.